It’s not Tron, it’s reality—virtual reality (VR) and augmented reality (AR) that is. Once confined to cheesy science-fiction movies, VR and AR have gotten super popular lately, from the success of video games like Pokemon Go to advances in filmmaking and even therapy. But one area that AR and VR is really making waves in is recruiting, with lots of companies adopting these technologies to improve their candidate experience, create fun skill-based tests, and show candidates that they’re on the cutting-edge of innovation. Of course, there’s plenty of ways to wow candidates that don’t involve strapping a goofy-looking headset to their faces. But there’s no doubt that AR and VR can turn heads and add interesting new dimensions to recruiting. Here are eight companies that have given their hiring process a reality check. The virtual band the Gorillaz might seem like an unlikely gateway to recruiting (unless they need staff at Feel Good Inc.), but Jaguar disagrees. The car company has joined forces with the enigmatic band in an effort to fill more than a thousand electronics and software engineering roles. This unusual approach has two huge immediate benefits. Candidates who enjoy the games and are impressed by Jaguar’s inventive approach are more likely to go on to apply through traditional methods. Meanwhile, those who perform exceptionally at the code-breaking games are fast-tracked through the recruiting process. Some may dismiss it as a novelty, but Jaguar’s app is a means for the company to test for much-needed skills, instead of looking at qualifications alone. With the Gorillaz’s female (virtual) lead guitarist Noodle acting as Jaguar’s ambassador for the initiative, it may also help close the wide gender gap in tech, in which women are vastly underrepresented. Jet.com wants to compete with Amazon, and knows that will only happen if it has a stellar team on its side. The Walmart-owned online shopping platform is leveraging its relaxed and collaborative company culture to attract top talent, utilizing VR to create a “show, don’t tell” experience. 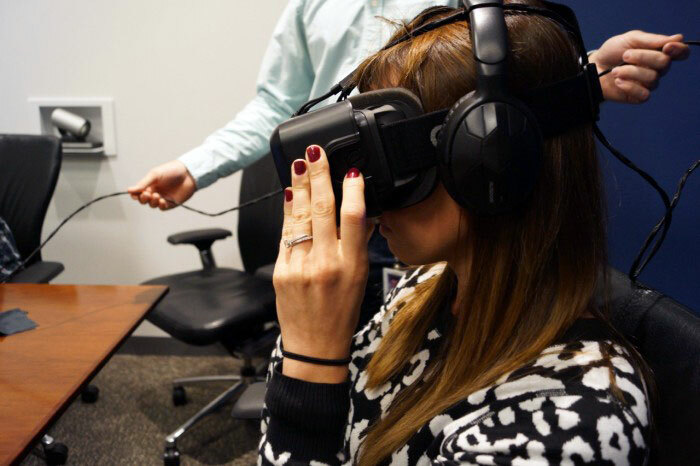 The initiative, which Jet first rolled out in 2015, involves a full VR experience created by design studio Helios Interactive that allows prospective candidates to get a snapshot feel for the company’s workspace and culture. 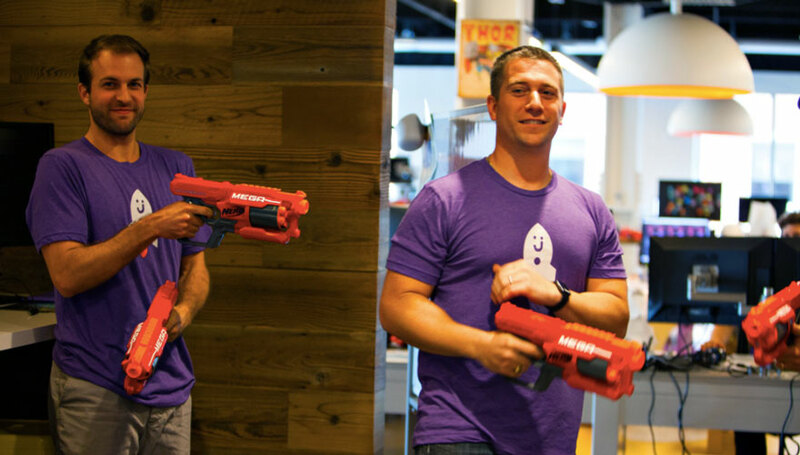 From sitting in on a meeting with CEO Marc Lore, to enjoying the joys of Jet’s happy hour and company band - along wth some games (see above) - the immersive video simulates the experience of visiting Jet’s Hoboken office without the airfare. When German mobility and logistics company Deutsche Bahn realized that a high percentage of its employees were nearing retirement age, they knew they had to do more to attract fresh talent. 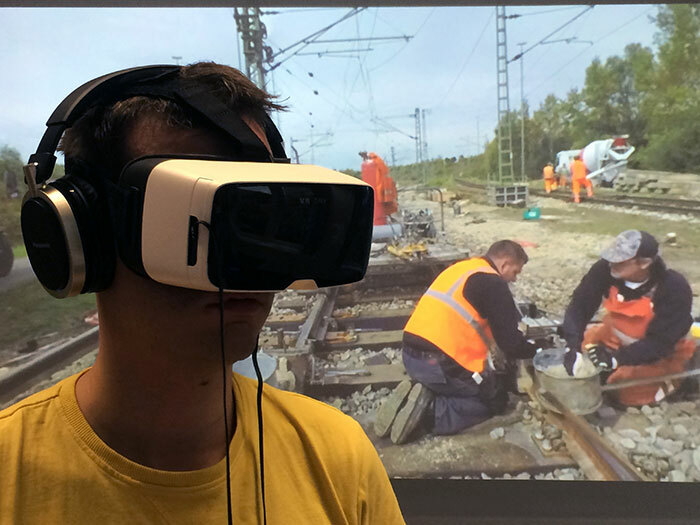 In late 2015, they experimented with VR by taking headsets to career fairs, allowing candidates to get first-hand virtual experience in hard-to-fill roles like train conductor and electrician. In doing so, they began receiving between five and 10 times as many applications from job fairs. Better yet, the applications they received tended to be higher-quality. In some cases, Deutsche Bahn discovered candidates were put off by what they saw of the role. But this has hidden benefits—for one thing, it could save the recruiting team time and money in testing people who would otherwise only later realize they didn’t want the job. Those who did apply had a firmer grasp of the requirements and challenges of the role, setting them up for success on the job. After offering VR experiences at events across the UK, the British Army saw its recruitment applications rise by 66%. 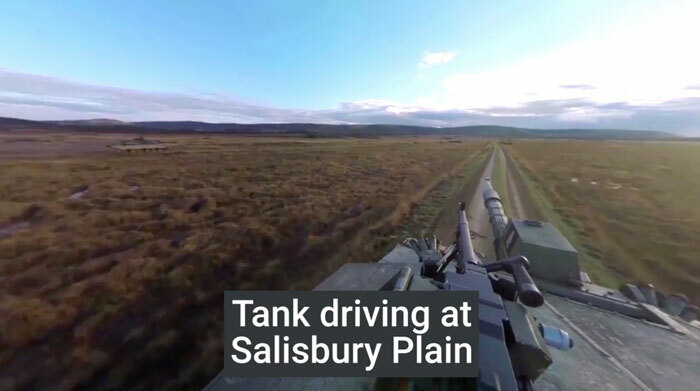 Using a Samsung Gear VR headset, candidates can experience what it’s like to engage in missions including driving a tank, parachuting, and mountaineering. They can also virtually experience the challenges of combat training. The British Army isn’t the only military branch weaving VR into its recruitment drives. The US Navy has also seen an increase in leads since rolling out similar VR initiatives last October. Intuit has impressive headquarters in Mountain View, CA and a culture it is eager to share. Ahead of a design fair at the University of Washington, its team banded together to create a virtual experience of the company in just 10 working days. 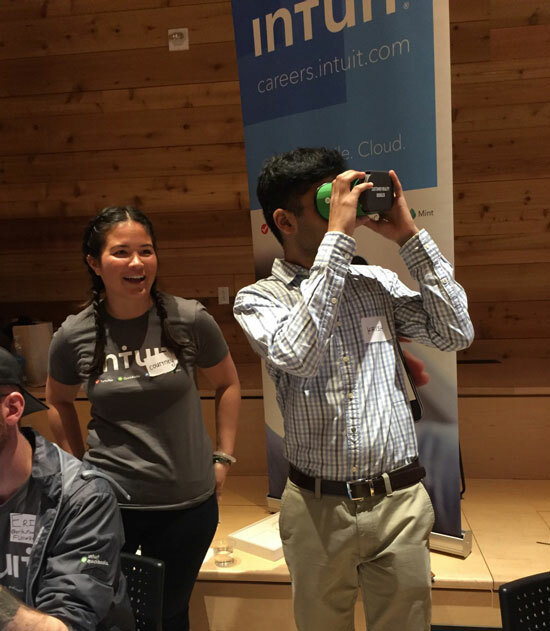 Students loved the opportunity to look inside Intuit’s workplace. In fact, the company’s Net Promoter Score, which started at -60, was boosted to +30 at the event. Intuit has posted its VR experience for any interested candidates (or recruiters looking for ideas). Consumer food giant General Mills wants to make sure it gets noticed at careers fairs. So, it created a virtual tour of its headquarters to show applicants at the University of Minnesota, and the response was huge. General Mills’ VR experienced was delivered using an Oculus Rift headset. On the company’s website, Leo Timmons, IT director for Application Development explains that the still-novel technology of VR catches applicant’s attention before they even experience the video. We were impressed in 2016 when CBA, the largest bank in Australia, announced the unusual way it was bringing VR into its recruiting process. 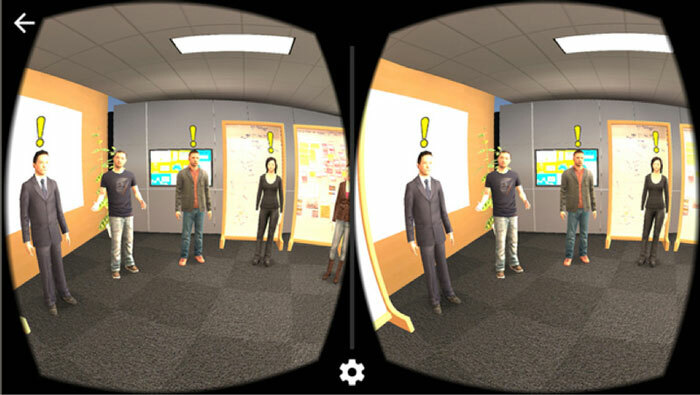 CBA’s Virtual Reality Candidate Experience let’s candidates experience the kind of projects employees handle, and tests their ability to make agile, smart decisions. Like General Mills, CBA uses an Oculus Rift device for an experience of total immersion. But companies looking to experiment with VR don’t necessarily need to invest in expensive equipment; these days, you can buy cardboard VR devices that strap to your iPhone for less than the price of a cup of coffee. Welcome to the future. 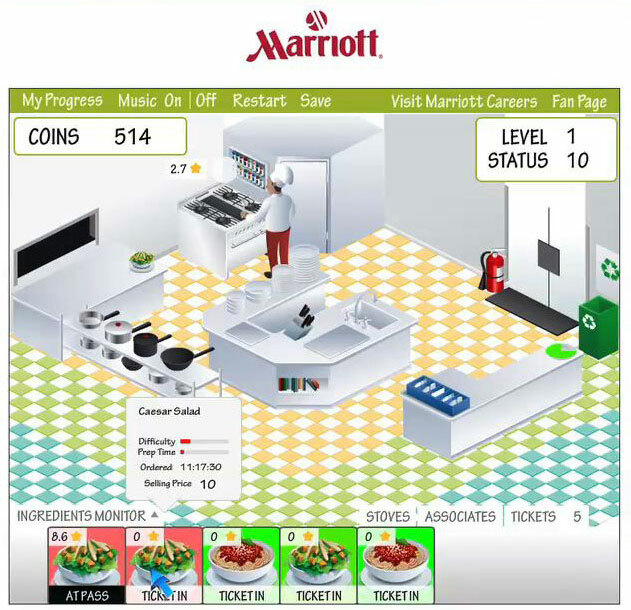 Finally, for something completely different, hotel chain Marriott once developed a Facebook game to let candidates experience the fast-paced environment of a Marriott kitchen. In just two weeks, the game (which allows players to run their own restaurant, including managing a budget and training employees) was played by people in over 80 countries. While it might not simulate the tantalizing smells of the restaurant experience, many players found the game addictive. 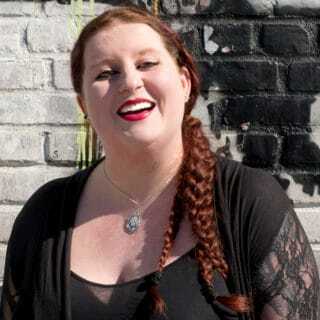 Marriott’s goal was to attract millennial candidates to hospitality roles by offering something a bit different, harnessing the power of social media to do it. Whether you immerse your candidates in a full virtual world or not, the fact remains that to attract top talent, you need to up your candidate experience game. From simple on-site gestures to gutting your recruiting process of outdated concepts, there are a dozen steps you can take right now to bring your company into the 21st century (with or without the aid of a VR headset).